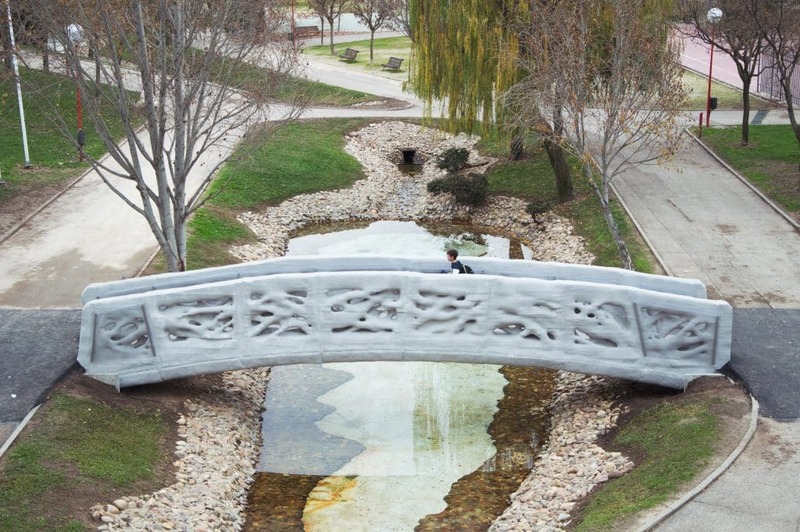 Last December it was inaugurated in an urban park in Alcobendas, Madrid the first 3D printed bridge in the world. It had a total length of 39.4 ft (12m) and was designed by the Institute for Advanced Architecture of Catalonia (IAAC) Spain and developed by a team of engineers and architects, in collaboration with public officials. The material used for 3D printing is concrete powder micro-reinforced with thermoplastic polypropylene.